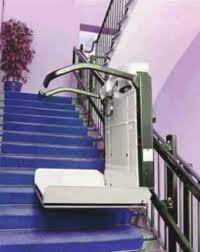 A stair lift a suitable solution for a person who has difficulty with walking but is not wheelchair bound, such as the elderly, a person with severe arthritis or after a stroke. 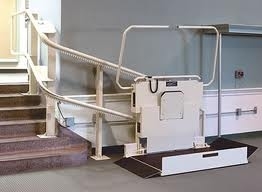 A stair lift has a seat that is fitted on a rail running up the side of a staircase. 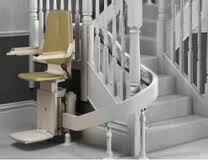 Stair lifts need to be custom made according to the height, length and gradient of the staircase. Gradient changes such as a landing, curvers or corners need to be considered. 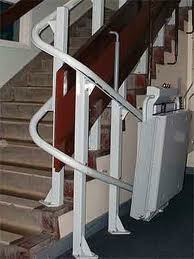 The chair is foldable so that it can be out of the way for normal use of the staircase. 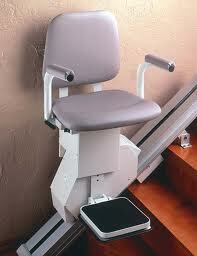 A chair lift is usually able to swivel between 90 ° and 180 ° to make it easier to climb on and off safely. It usually has a control switch or joystick mounted on the chair and one on the wall at the bottom and top of the staircase. 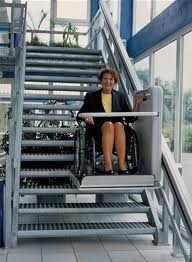 A platform wheelchair stair lift is similar to the seated stair lift, but it has a platform instead of a chair. The platform will fold up out of the way when not in use. 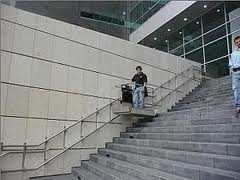 It has similar safety requirements to the seated lift, but with the additional requirement of a safety barrier and raised ramps on the edges of the platform while it is moving. 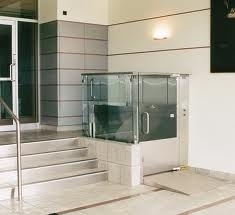 A platform lift is suitable for all types of wheelchairs. The size of the platform depends on whether the person is able to use the lift independently or whether they need an attendant to ride with them on the lift. 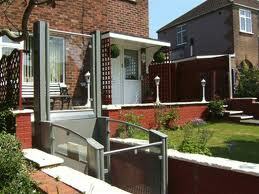 An open vertical wheelchair lift is used where a ramp is not possible between 2 close levels. 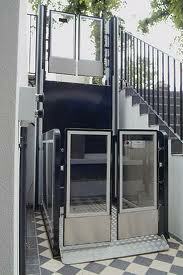 Present legislation allows an open vertical platform lift to rise to a maximum height of 2 metres, but normally does not exceed 1.2 metres. Any lift travelling higher than 2 metres but less than 4 metres needs to comply much more stringently, since it may have 3 landings which will require landing doors. When passing through a slab, it must be fully enclosed or must comply with specific safety requirements.